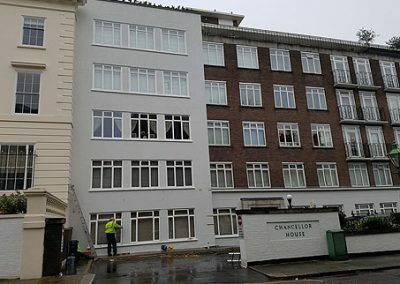 A six-storey late Art Deco building needed renovation works mainly due to water ingress, loose stone panels and general atmospheric pollution to the finishes. 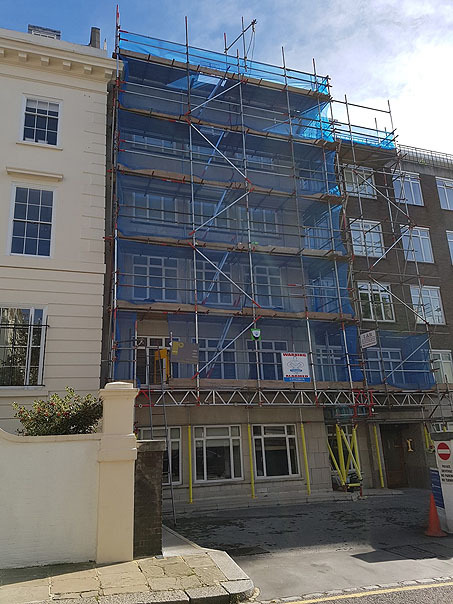 NJC building consultants were approached to provide options and to manage the external renovation on behalf of the client. 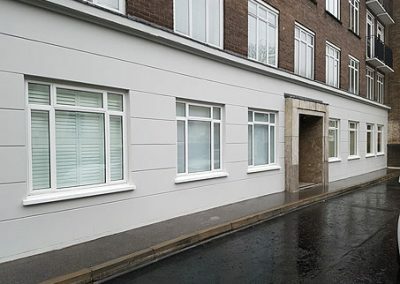 The building contains a number of flats and the exterior cladding consisted of thick reconstituted white coloured stone blocks which are held in by metal clips and mortar. 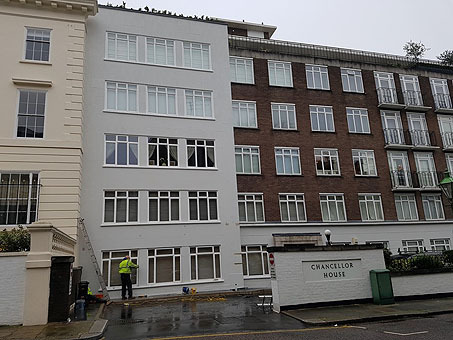 The building is located in an attractive area of London in a street once lived in by well known people, such as Sir Winston Churchill and Robert Baden-Powell. 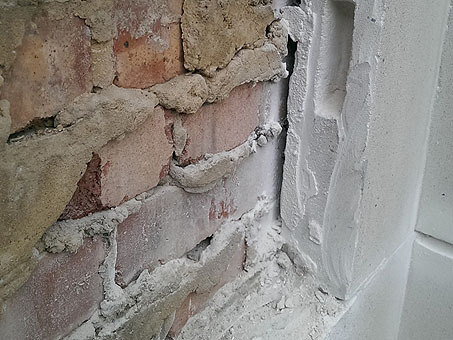 Our work involved agreeing the method of repairs with the client within a reasonable budget. 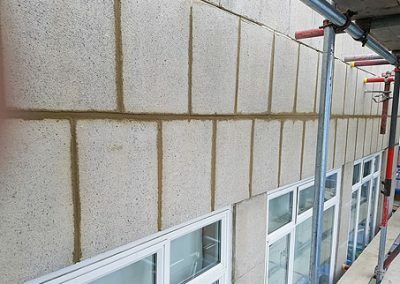 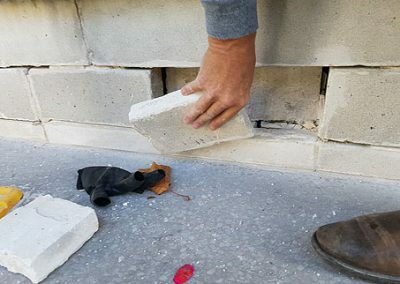 The three options available were either to over-clad and insulate, apply a clear sealant to the existing stonework or redecorate the existing stonework with all options to also include various repairs. 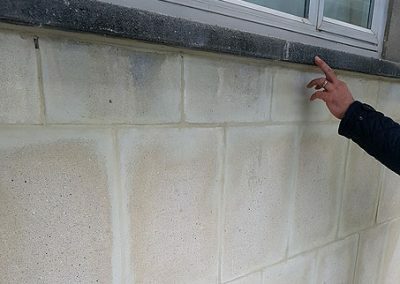 The chosen option was to clean, completely repoint and redecorate the stonework with a high quality breathable paint system. 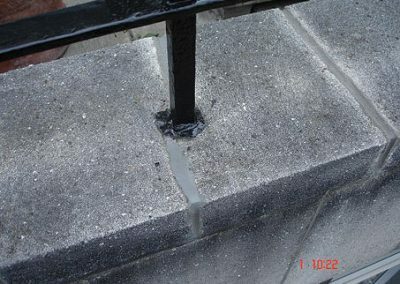 Additional repairs were carried out to the stone cills, window frames and parapets as necessary. 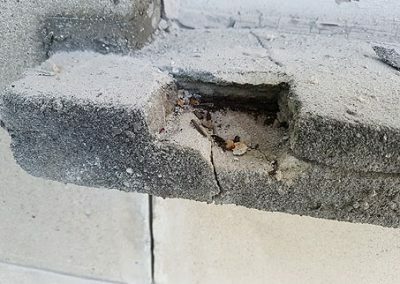 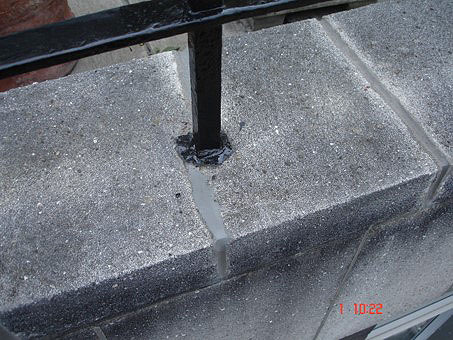 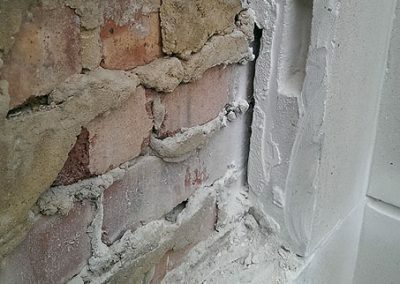 Once the scaffolding had been erected loose cills and blown concrete was evident around the reinforcing bars due to oxidation and therefore methodical repairs had to be carried out with some replaced cill sections. 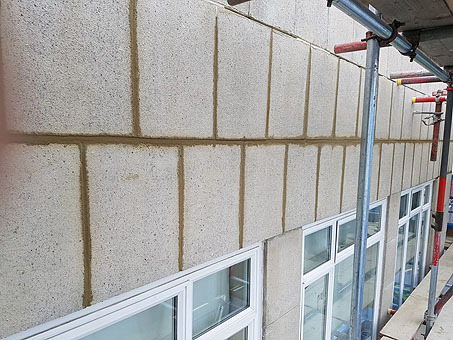 Our role was to advise, steer, specify and appoint the chosen contractor through a competitive tender process. 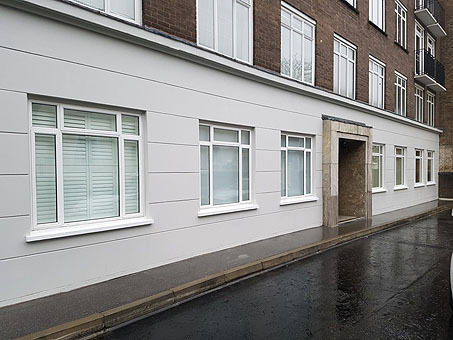 NJC role was to manage the contract, as a contract administrator and deal with variations, payments, snagging and final accounts. 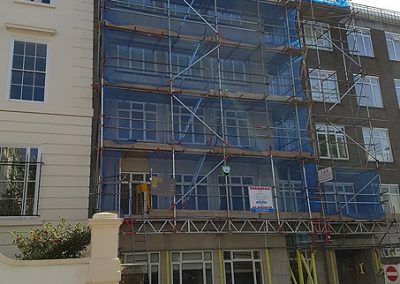 The original works were carried out within budget and time. 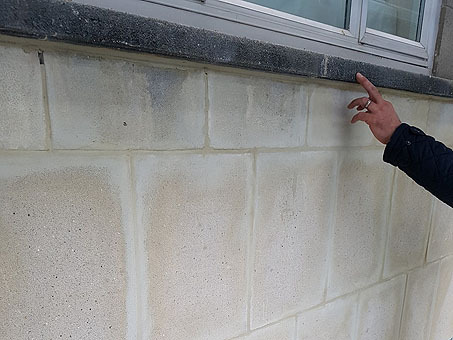 Once the project was live, there were additional requests from the freeholders to redecorate the low-level stonework which would lift the overall look of the building and the new works.